From Davos Man to Davos Bot? Thiel Fellow and computer programming prodigy Vitaly Bukherin has stated that automation of the top management functions at firms like Uber and AirBnB would be “trivially easy.” Automating the automators may sound like a fantasy, but it is a natural outgrowth of mantras (e.g., “maximize shareholder value”) that are commonplaces among the corporate elite. To attract and retain the support of investors, a firm must obtain certain results, and the short-run paths to attaining them (such as cutting wages, or financial engineering) are increasingly narrow. And in today’s investment environment of rampant short-termism, the short is often the only term there is. Just as the killer business app for the personal computer was the spreadsheet, so the killer business app for artificial intelligence may turn out to be the algorithmic CEO. One seems to follow from the other, like an oak from an acorn. 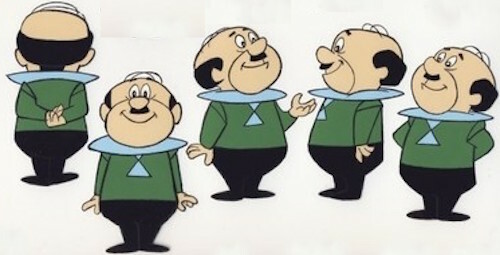 The Jetsons, you see, got it wrong: It’s not Rosie who turns into the robot; it’s Mr. Spacely. This entry was posted in Uncategorized on January 21, 2015 by Nick. If that’s really where we’re at, I don’t suppose many will weep for CEOs. But is the figure or the ground to blame? Has the executive dropped out because of algorithms as versatile and creative as a human or because the terrain of an economic system this interconnected now heavily favors technical and stochastic assessment? A flat grid of streets calls for the wheel, and uncleared brush for the foot. If massive companies can be put on autopilot, what does it say about the lives of consumers? He could start with principle #3 by simplifying away #1 and #2 and then himself. I regret my mean-spirited snark… I expect this CEO is doing what he can playing a bad hand at AOL. Still, the level of codified condensed management-speak technobabble in his short statement is rather stunning.